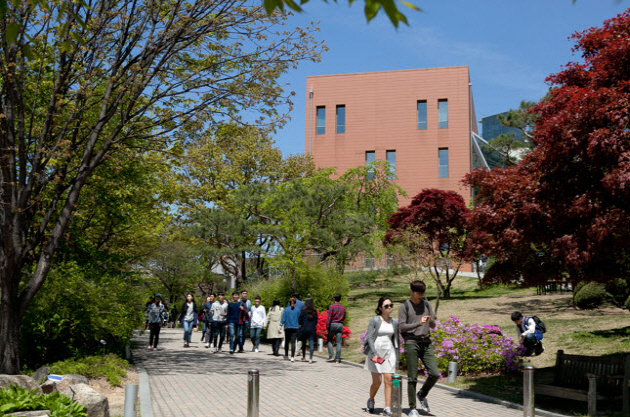 With the arrival of May, SNU’s campus has now come into full bloom, covering the mountain in various shades of spring. Gwanak campus is justly famous for its lush foliage, which includes over 200 varieties of plants. Since April, SNU has been hosting the Eco Campus Tour, which introduces participants to the diverse flora of SNU’s campus. The first program of its kind, the Eco Campus Tour is sponsored by the Forest Interpreters’ Association of Korea, an organization dedicated to educating the public about nature and supporting the national park system. Each two-hour session takes a maximum 20 participants on a journey through the characteristic plant life distinctive to each season. The next session is scheduled for June 1 and will explore the various blooms of the summer.